I was a Girl Scout when I was young, and well I remember the Scout motto: Be Prepared. It’s applicable to many areas in life, including medicine. One of the most important ways that a patient can be prepared is by completing an Advance Care Planning document. Advance Care Planning, also known as advance directives, offers all adults the opportunity to be prepared for a time when they cannot express their wishes about what type of care they want to receive. It allows them to give guidance to their family and medical care team in the event that they cannot speak directly for themselves because of terminal illness, serious injury, coma, dementia, or another situation. For example, an Advance Care Planning document may state whether you wish to be kept alive through a life support machine, whether or not you wish to be resuscitated if your heart stops, and what types of medicines you wish to have administered if you are critically ill. Your decisions about these questions may change through your lifetime, and an Advance Care Planning document can be revised if you change your mind. Why would anyone do this? Isn’t it morbid? Actually, it’s an act of kindness. Advance Care Planning offers you the chance to make your wishes clear to the people (family or loved ones) who will have to speak for you when the time comes that you cannot speak for yourself. It relieves the pressure and guilt that family members may feel when they have to make decisions for you. It’s tough to be in a situation where you want to honor a loved one’s wishes, but you don’t know what they are. A medical crisis is the worst time to make difficult decisions. An Advance Care Planning document gives guidance to family members and also to the medical team taking care of you. Medical care has advanced dramatically in the last 50 years, and medical interventions can now prolong life even when the body is declining and cure is not possible. Before antibiotics and other modern technology, when a person became frail, that person would fall ill, perhaps with an infection, be unable to fight it off, and die rapidly. In today’s medical world, treatment may help someone recover or it may prolong dying. Your body could be kept alive even if you are not aware of yourself or your surroundings. When should advance directives be written? All adults can appoint a decision-maker who can make decisions if they are unable to make decisions for themselves. Anyone with a chronic illness, especially if they are having hospitalizations or declining function, will benefit from completing advance directives and talking openly with family and loved ones about their wishes. There are many resources to help us have these difficult discussions and record our decisions. 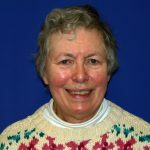 The Vermont Ethics Network (www.vtethicsnetwork.org) has many resources on its website, including the Vermont Advance Directive form itself and guidance for completing the form and talking with family. Your physician or other health care provider can also help you. It’s best to have these difficult conversations when you are well enough to think things through. It’s not easy. But finding the courage to think about this and then to talk about your wishes is an important gift you can give to your loved ones. Bio: Dr. Anne Brewer joined the Grace Cottage staff in 2017. She is a graduate of Brown University and University of Vermont College of Medicine. She completed residency in Family Medicine at the University of Connecticut. She is board-certified in Family Medicine. Geriatrics, Palliative Care, and Adolescent Medicine.